I recall it being 2 (two) sets of 25' (50 count) strands connected to a controller. Not 1(one) 50' (100 count) strand. Forgot how long ago it was that Dan had brought the CCB's up. Bummer! Any word that CCB's will be available this year? I know it wont take the place of a CCB, but with the addition of Enttec support, its much easier to use a variety of similar / 3rd party elements. The CCB and CCR are merely a pixel addressable RGB LED. But that aside, there are TONS of RGD pixel devices out there. 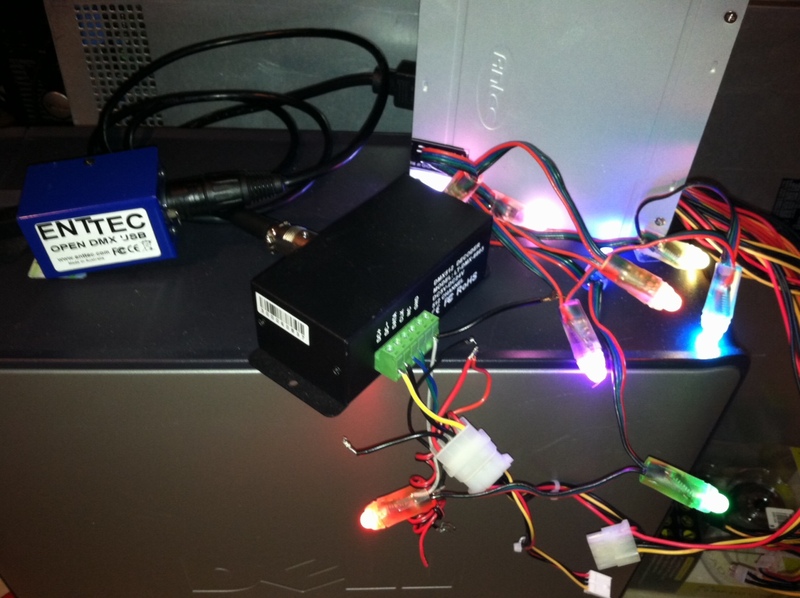 WS2801 and LPD6803 type pixels connect with 3 wires to a protocol converter box (this will allow the devices to receive DMX signals) and then this connects to an iDMX or ENTTEC dmx adapter. True its not as easy as connecting a CCR, but if you are able and willing, its the same end result, and is available now. After you have 1 string, you can add several more end to end. They program just like a CCR would. 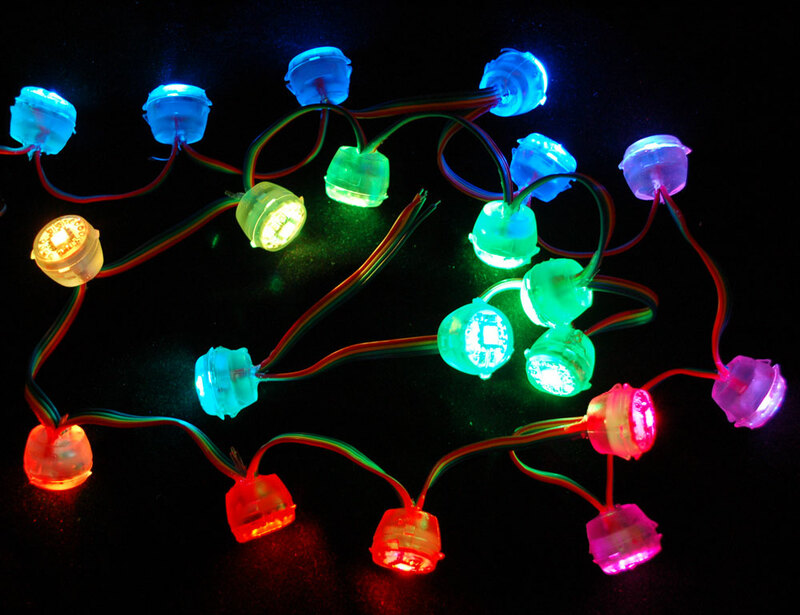 They also come in a variety of shapes and sizes - the small ones look pretty much like regular mini lights, and the larger ones can be up to a softball in diameter. - Here are some I have tested. One thing to keep in mind when using other RGB solutions is how they work with the Visualizer. I have a lot of RGB pixels controlled via DMX and have run into constraints that exist for non LOR RGB solutions. I have managed to work through/around many of them although it is not ideal. Definitely not discouraging you from trying other options.. just a heads up that it will not work like a CCR/CCB in the visualizer. The CCR with 150 channels looks like 1 fixture to the Visualizer where-as a 150 channel RGB string (50 pixels) looks like 50 fixtures to the Visualizer. Lot's of RGB pixels and you bump into maximums very quickly. If anyone finds other work arounds to these.. please share. Good to know - I dont have enough channels to run into those issues yet. Here is a shot of the decoder box (DMX to 6803) and some small pixels.